The DEFENDER™ PRO Commuter is the off-duty choice for professionals who need to be ready, or any civilian that prefers a solid daypack with the added benefit of threat Level IIIA M4L Ballistic Armored Protection that could save your life if you encounter an active shooter event. In an increasingly uncertain world, the DEFENDER™ PRO offers something new, an innovative backpack design that could save your life. Specifically designed to address rising global concerns for personal safety when traveling, shopping, or even attending school, the DEFENDER™ PRO provides the convenience of a multifunction daypack while also shielding your vitals with NIJ Level IIIA armor protection engineered by Angel Armor, and specifically designed for MERET. Weighing similar to most daypacks under 5 lbs, yet unlike any other daypack, the DEFENDER™ PRO can withstand multiple rounds up to 44 MAGNUM projectiles. Discreetly constructed into the rear pocket of the backpack system, an ultrathin M4L (MERET 4 LIFE) armored ballistic panel is positioned to defend your vital chest region when approached from behind. The DEFENDER™ PRO can also be worn across the front of the body for similar protection if the threat is forward. In addition to offering ballistic protection, the DEFENDER™ PRO Commuter is a solid personal or professional rucksack that delivers the quality, reliability, and functionality you need. The rear slim zippered pocket can support up to a 15” laptop in the dedicated padded laptop compartment, or if you’re in the field, switch it out to carry a hydration pack and clip your hydro tube to the padded mesh shoulder strap. A large middle zippered pocket offers a variety of options for carrying medical supplies, tactical gear, or a change-out of clothes. The full length outer zippered pocket provides organization for pens, phones, an 8” tablet, or any other smaller items you would typically carry. A smaller front zippered pocket offers easy access to smaller items. A multifunction bottom, padded zippered pocket can secure off-duty ammunition or simply your AC adapters and power cords, hiding them and placing the heavy weight on the bottom of the bag. A laser cut MOLLE panel is fitted to the front to attach TS2 Ready™ modules or any MOLLE compatible gear. The bottom is produced from liquid resistant material to keep your bag dry when placing it on the ground. 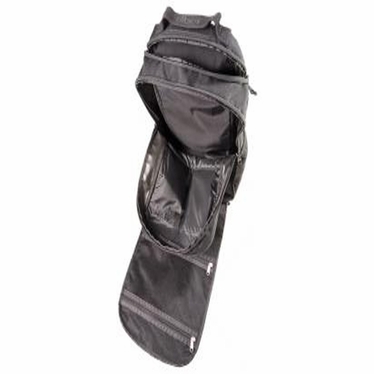 Dual side elastic mesh pockets carry small gear or additional hydration supplies. 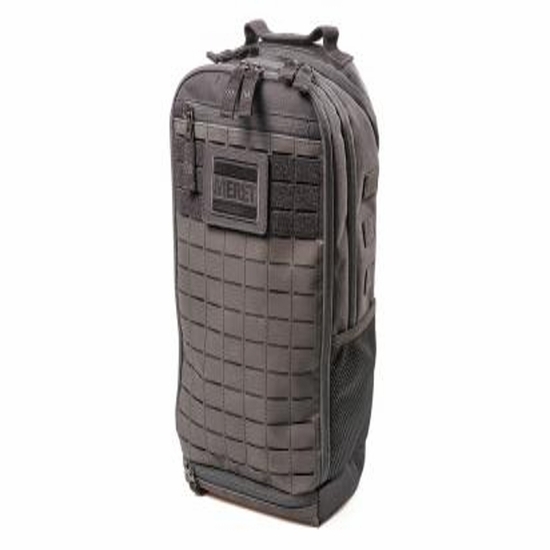 Once filled, secure the bag using the adjustable sternum and waist straps, or simply tuck the straps away in concealable pockets for a cleaner fit and use the top low-profile handle to carry your gear. 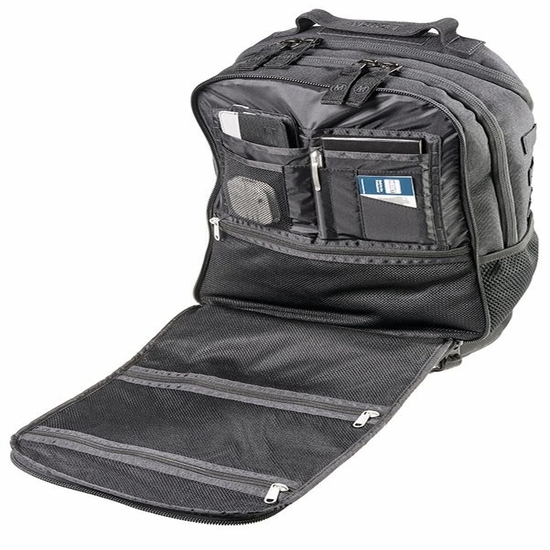 The padded/vented backpack system allows you to carry and trek with maximum comfort. Constructed from 1200 denier coated TPE water and stain resistant material, the DEFENDER™ PRO is built to withstand active duty or the daily grind, all while offering ballistic armored protection that could save your life. The DEFENDER™ PRO Commuter Backpack is available complete with certified NIJ Level IIIA armor protection. The DEFENDER™ PRO is available in tactical black (no reflectivity).